There wasn’t an era in NBA history that had so many great big men playing against each other. The 90s it was first of all the era of the Bulls and Michael Jordan and then the era of the great Centers. Many teams had the luxury of building a team around a great big-man in the paint and most of these teams played a protagonistic role throughout the 90s. The Rockets, the Spurs, the Knicks, the Magic and the Heat were some of them. my favourite player was a center of that era and he was one the basic reasons that I became a fan of the NBA. 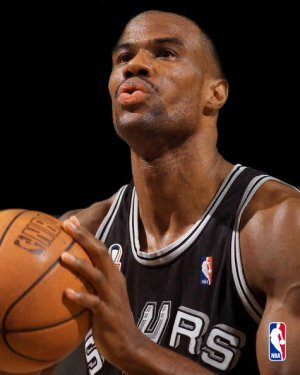 This made it even more difficult to rank the top ten for this position but I tried to be as objective as I could be and although my main man was and is David Robinson I have to admit that Hakeem ‘The Dream’ (a bad dream for me and other Spurs’ fans) Olajuwon was the best Center of the 90s. The magical with the 90s era is that, basketball evolved is such a way that almost every top player could easily be nominated for the best ever in his position. It was a golden era and we were so lucky, I haven’t seen Wilt Chamberlain neither Bill Russell play, I haven’t seen Kareem Abdul-Jabar or Moses Malone (I have seen all of them few times in documentaries or recorded games but I cannot say that I have an opinion on whether they are the best or not) but I have seen Hakeem Olajuwon dominating (in two years time) all the best Centers of his era which was an era with some of the best centers so, in my view Hakeem is the best Center that ever played the game, I have not seen anyone 7 feet tall do the things he did. I do though have a slight objection on my own conclusion, which is based on hypothesis about a player from Lithuania named Arvydas Sabonis. I could and I do argue that if he wasn’t injured most of the time he could have been the best Center ever. Of course this is just a hypothesis and unfortunately we will never be able to test it. Maybe in a parallel universe where he was healthy he did dominate. Honourable mention: Kevin Willis, Robert Parish, Kevin Duckworth, Bison Dele, Pervis Ellison. Thanks for the comment. Unfortunately Sabonis played only four seasons in the 90s (1996-1999) and one of the rules for a player to be included in the top-10 list is to have played for at least five seasons during the 90s (as you can see in the ‘about’ section). So, if we hypothesize that he had played five seasons I would have ranked him as probably the 7th best center of the 90s. Of course if he did not have any issues with injuries, I strongly believe that he would have been a top-3. 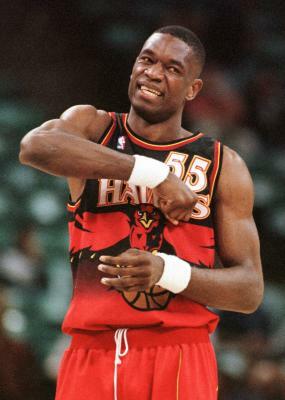 They had some mediocre centers such as Ervin Johnson, Sam Perkins and Frank Brickowski. 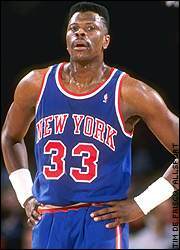 However, Sam Perkins was not that bad but he was a different type of center, not so much a post player. Mark Eaton should be on this list. Maybe, if this were a list for the top ten centers of the 80s. no Kevin Willis? that dude was nasty. Willis was good but I do not think he was better than any of the guys in the top-10. In today’s NBA, I think that he could be a top-5 center but not in the 90s. Thanx for the comment. Seikaly > Willis? Come on, not really! 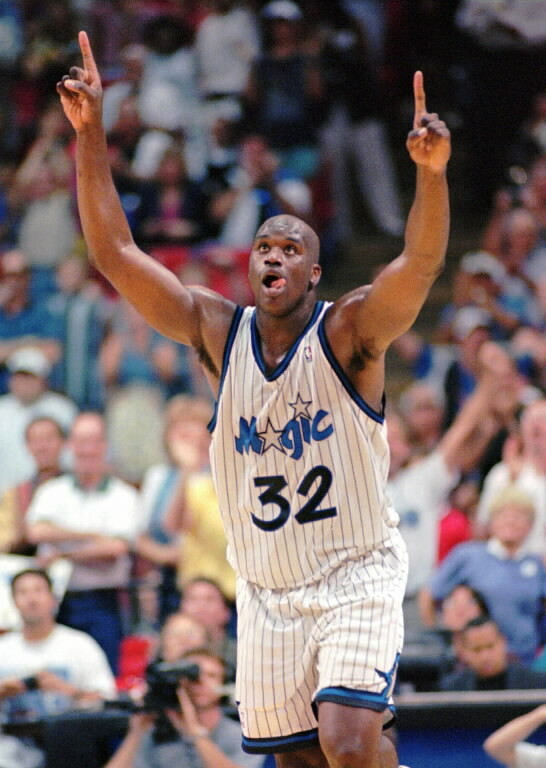 Willis was an All-Star, he could shoot, play the Pick’n Roll, Rebound and looked like a beast. Also playing with Dominique was not easy. 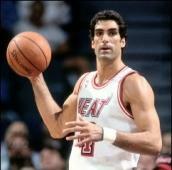 Seikaly on the other hand played his best seasons for the poor Miami Heat. I think that you may be right. However, Seikaly’s numbers were better during the 90s and he was averaging a double-double in 1992, when they got to the play-offs. I guess some people just like to mess with the results. 9 of those players have no business getting votes at all. “Other” I mean come on. What “other” player you can’t think of could be better than the top four? Haha…I think most of them probably referring to Arvydas Sabonis, who I have left outside the poll and the ranking as he played less than 5 seasons during the 90s. However, I agree that the top four guys with probably the inclusion of ‘Zo’ were the best by far. Thanks for the comment. I think I will disagree and this is not because I am a DRob fan, but because the Admiral was actually better than Shaq in the 90s. 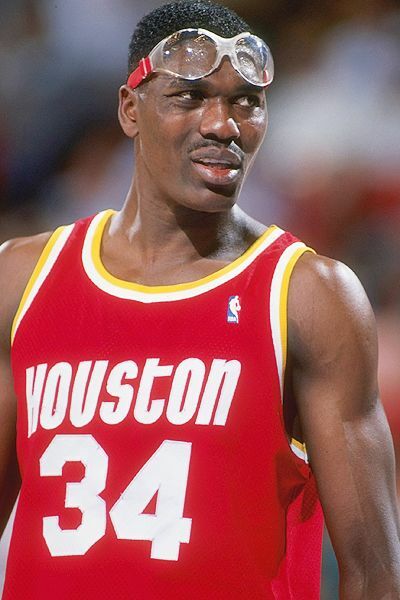 Shaq undoubtedly ranks higher in the all-time list, but when it comes to the 90s only Hakeem the Dream was clearly better than Robinson. Do not forget that in 1996-97 Robinson had a career-threatening injury and he was a different player after that. From 1989 till 1996 he was ROY, MVP, DPY, led the league in scoring, rebounding and blocks, while he 4 x All-NBA 1st Team and 4 x All-NBA 1st Defensive Team, was an all-star every year and led his team to the play-offs every year (no matter the supporting cast – he also never had a Penny) – well he also won a title in 1999. If you look at their games against each other prior to Robinson’s injury, it is the Admiral that gets the better out of Shaq most of the time and also look for those videos in which Shaq talks about the centers he played against…it is only when it comes to Robinson that he feels he has to defend himself by talking trash about him…I feel that even he knows that he never actually dominated the healthy David Robinson (of course he accepts Olajuwon’s superiority). One last thing, I am not sure how would it be for Duncan and O’Neal to play together and if they were going to be able to win more than one title in the 90s – I doubt it – let’s not forget that the Admiral had to take a step back and embrace a supporting role for them to win it 1999. 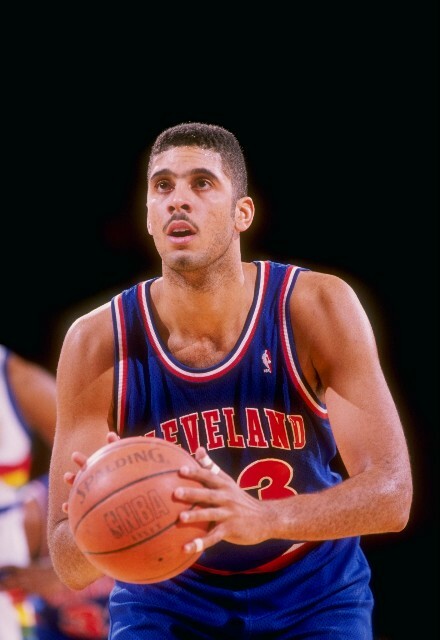 Rony Seikaly. On a list about the best centers in the 90s, you include Rony. 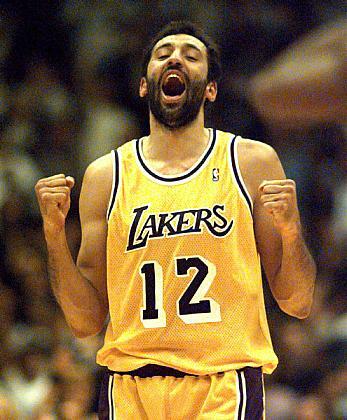 Seikaly. Seriosly? I guess you do not like him. So, what do you propose? Who should be in his place and why? 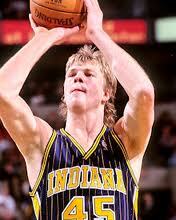 Arvidas Sabonis for example. Much more intelligent player, better passer, more efficient scorer. 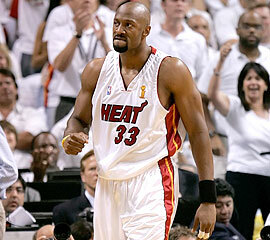 Or Kevin Willis. He was better defender, slightly better rebounder. Seikaly had good numbers, but never really had an impact on the game. The best seasons of his usually were in “far from playoffs” teams, and didn’t realy leave any legacy behind. Hmm Sabonis is not an option for the reasons mentioned elsewhere (he has not played 5 full seasons in the 90s). With Willis, I have to say it was a difficult decision but in the end I think Seikaly was more of a center than Willis and the best player in a Heat team that was surely not very good. They did make the playoffs though in 1993. Thanks for the comment. I would love to include Sabonis in the top ten but unfortunately and precisely because he joined in the 1995-96 season he has played only four seasons in the 90s.